Saved! The Multi Rockets’ defence was spot on last evening. 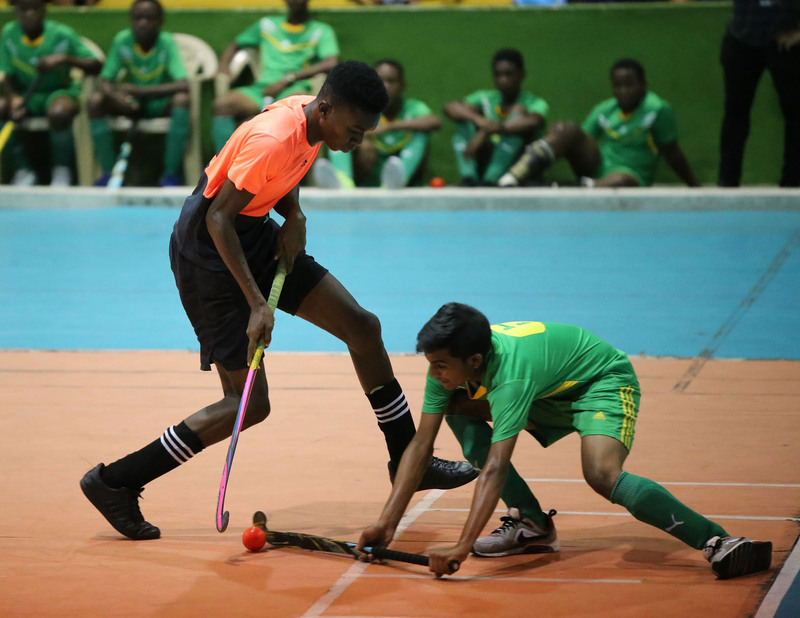 The Guyana Hockey Board (GHB) Junior National Indoor Hockey Championships continued last evening at the National Gymnasium with a number of entertaining matches. Ironically, the most exciting match of the evening was a nil-nil encounter between GCC Pitbulls and Multi Rockets, who pushed each other throughout their 20-minute contest. Defence work by both teams was the highlight of the night as both their attacking lines squandered a few clear scoring opportunities. The most high-scoring under – 16 match, however, saw Joseph Warriors defeating Hikers 4-3. Hikers were first to find the back of the net in the third minute but trailed 1-2 at the half, after strikes from Warren Williams, two minutes apart in the seventh and ninth minute respectively, sent his side ahead at the half-way point. It was Williams again, after play resumed, as he converted twice once more, in the 14th and 17th minute to give his side a 4-1 lead. 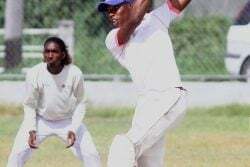 Hikers, nonetheless, fought on and nearly staged a comeback in the closing minutes of the game with Tahrea Garnett and Baraka Garnett netting in the final two minutes to leave the score at 4-3 in favour of Warriors when the clock stopped. The final under – 16 contest of the night saw Saints defeating Taco 3-1. Converting for the winners were Shakeem Fausette in the sixth and 14th minute while Oshazay Savory scored in the 17th minute as Tyrese Lewis netted the lone goal for Taco. The first match of the evening saw Saints’ female team defeating Joseph Stars 1-0 in their girls under – 16 contest with Mariah Seegobind’s 13th minute strike separating the two teams. 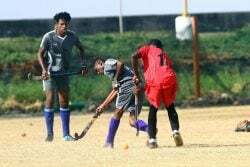 Meanwhile, the under – 21 matchups saw Old Fort Goal Chasers defeating Saints 2-0 in the girls category, while Hikers stitched a one-nil win over Phoenix in the boys under – 21 match.